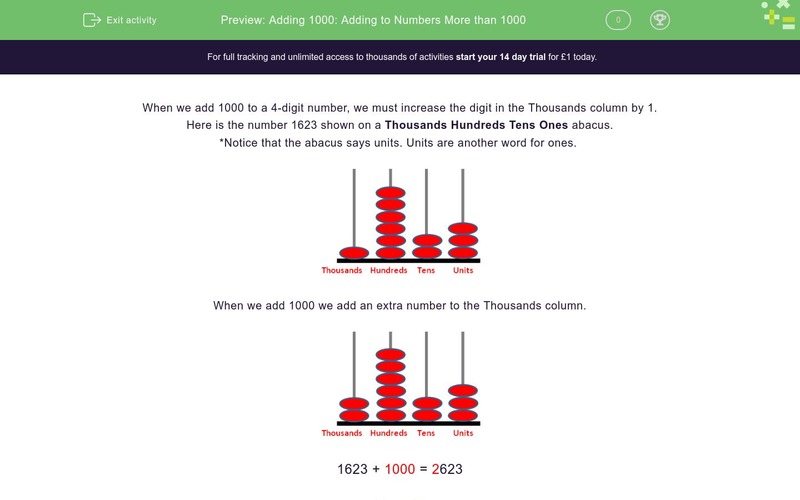 In this worksheet, students must add 1000 to a four-digit number. 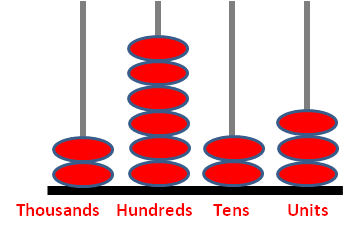 When we add 1000 to a 4-digit number, we must increase the digit in the Thousands column by 1. Here is the number 1623 shown on a Thousands Hundreds Tens Units grid. 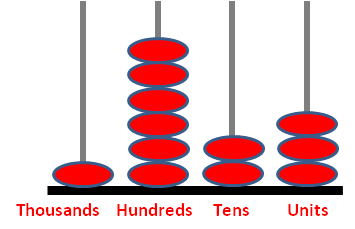 When we add 1000 we add an extra number to the Thousands column. We increase the 5 in the Thousands column by 1 to get 6 in that column.